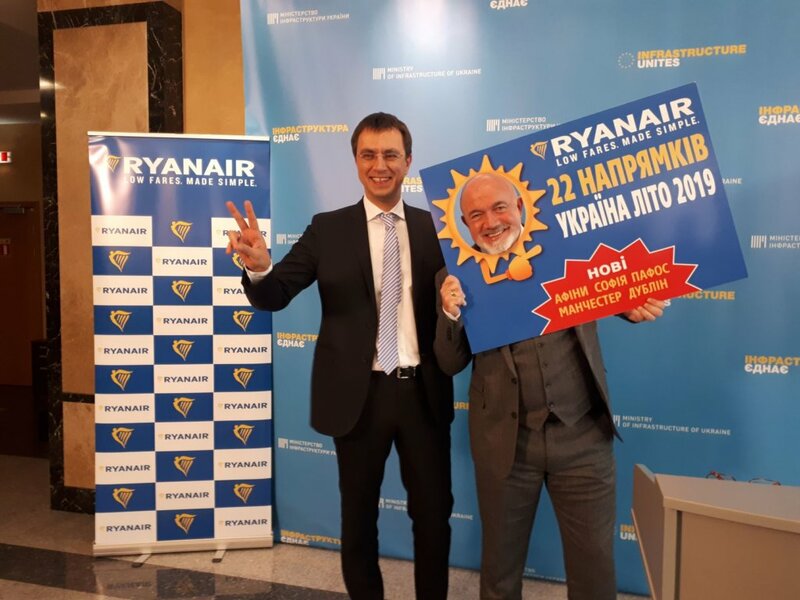 Ryanair, Ireland’s No.1 airline, today (20 Nov) announced a new route from Dublin to Kyiv, with a twice-weekly service commencing in April 2019, as part of Ryanair’s Summer 19 schedule. Ryanair’s Dublin summer schedule now includes 99 routes in total, with 11 new routes to Bodrum, Bordeaux, Bournemouth, Cagliari, Frankfurt, Gothenburg, Kyiv, London Southend, Lourdes, Luxembourg and Thessaloniki, which will deliver over 16.4m customers through Dublin Airport next year. “We are pleased to announce another new Dublin route and our first from Ireland to Kyiv, Ukraine, commencing in April 2019, which will operate twice weekly, our 11th new Dublin Summer 2019 route.